Turning 30 just barely kicks off all the milestones this year will bring! While 30 is huge for me, 10 is how many years Robert and I will celebrate in a couple of months! TEN years together!! Crazy!!! Oh yeah! We will be adding to our family in January! An unexpected blessing but a blessing indeed!! Please join us in praying for this baby and this pregnancy! Healthy baby and smooth pregnancy!! Wow!!! Congrats Lindsay! That is so exciting! So happy for you guys! Wow, Congrats on the little blessing!! Can't wait to follow your pregnancy journey! I just now noticed Olivias face in this... hilarious! Congrats! What an exciting year for ya'll. :-) Covering you and baby in prayers. Congratulations Lindsay! Wow! 5! You are my hero! So excited for you guys! If I weren't over the hill already, I'd want another one, too. ;) Congratulations! WOW! SO Excited for you all! Congratulations Lindsay! Wow! Congratulations!! SO excited for you guys! Yayyy!!! Love that we're expecting at the same time & will have 2 babies so close together in the fam!! YAY! What fun news!!!!! I love it! Congrats! So exciting for you and your family! What fun to have four older brothers and sisters! ps the family pic is awesome - love it!! CONGRATULATIONS!!!!! I feel so behind. Everyone is having #3+ and we are still at 2. You have such a beautiful family and know this one will only add to the joy! That is great news, so excited for you guys! oh how exciting!!! 5 kids is the greatest number!!! congrats! 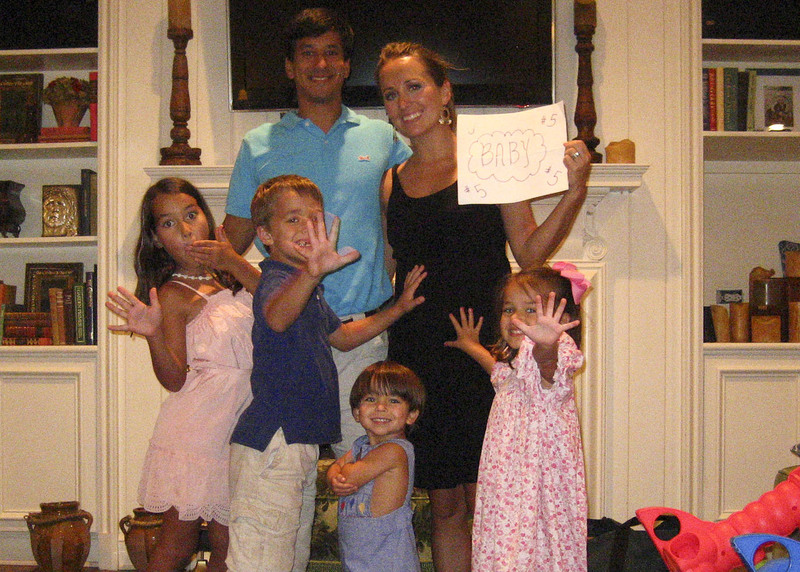 Happy Birthday, and also a huge CONGRATS on baby #5! Congratulations Lindsay! I'm so excited for yall!